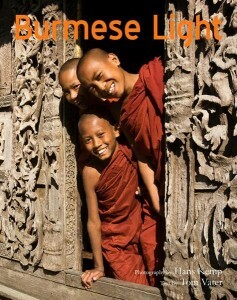 Writer Marco Ferrarese interviews photographer Hans Kemp, with whom I have just published Burmese Light, a new illustrated book on Burma. Read the full interview on Rolf Potts‘ celebrated blog Vagablogging here. Burmese Light: Impressions of the Golden Land is a photographic introduction to Myanmar, the country behind the Bamboo Curtain. Stunning images by award-winning photographer Hans Kemp, paired with a witty and insightful text by well-known author Tom Vater, take the reader on a journey through a fascinating country slowly but steadily emerging from a long period of involuntarily isolation. The 200-page book features all the country’s famous sights, its colorful people and its multitude of customs, and leaves the reader with only one wish: to pay a visit to this amazing Golden Land.